You are here: Home / Misc. / Book Club/Book Reviews / Music Industry Book – BLACKOUT: My 40 Years in the Music Business. 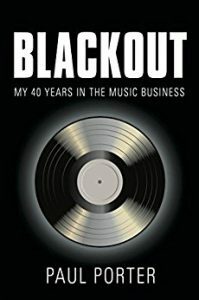 Music Industry Book – BLACKOUT: My 40 Years in the Music Business. (ThyBlackMan.com) For more than 50 years, commercial FM radio has had the power to inspire, influence, entertain, and inform listeners. It’s also had the power to break artists and sell records. So, from day one, pay for play has been part of the game. But in the past two decades, terrestrial radio has undergone a sea change in terms of consolidation, corporate programming, digitization, the minimization of the role of program directors and air personalities, and unrelenting competition from satellite and Internet broadcasters and from digital streaming services. Radio’s ability to break artists has been compromised. What’s more, the music itself has changed, as has the industry that produces it. Today the stakes are higher, the content standards are lower, the price of entry is higher, and the flameouts — both corporate and personal — can be spectacular. Which brings me to “Blackout: My 40 Years In The Music Business,” the new book by media personality, music programmer, website operator, and now low-power radio station owner Paul Porter. Click On The Image Above…….. In “Blackout,” Porter tells his own through-the-looking-glass story of how an idealistic kid from Jamaica, Queens, broke into radio as a Northeastern University student at WRBB Boston (where I first heard him while attending Simmons) and through the next 40 years found himself mired in the politics, personalities, program wars, and not-so-secret payola practices of the modern-day music biz. Though promos for the book use words like “insidious,” “scandalous,” and “corruption” to describe the content, Porter’s retelling of his up-and-down career journey through various commercial FMs as well as BET is straightforward and mostly restrained. Yes, he outlines his disgust with and participation in some of the industry’s seamier under-the-table practices, and he readily recounts his brow-raising escapades and battle of wills with well-known players in the urban music universe. In Porter’s tale there are heroes and villains, and though he has changed the names of a few, he has no qualms about pointing fingers at the radio and record execs who crossed him up, cheated him, floundered on the job, or underestimated him. Paul Porter also shares his upbringing, his love of R&B music, his desire to serve the audience, his gratitude toward his industry mentors, and his abiding concern for the welfare of young people who are negatively influenced by violent and misogynist lyrical content on the airwaves. This is a book by a man who has seen it all, admits his missteps, and has finally carved out his own niche from which to spin this cautionary tale. And while others might have a different view of the same events, or feel that Porter was bullheaded or naive at times, “Blackout” offers valuable commentary on the ugly parts of a “glamorous” business. I have to give props to the editing of the book. It’s a clean read in terms of pacing and construction, it’s a quick read, it’s funny in some places and jaw-dropping in others; it leaves you wanting more without making you feel like you didn’t get the story you were promised. While no solutions are offered for the ongoing practices of payola or the programming of raunchy and inappropriate lyrical content during all dayparts, Porter shows how he personally chose to deal with these thorny issues. The book is a page turner for those who have been (or want to be) in the industry. And without ever turning preachy, Paul Porter will have readers examining their level of commitment to their own values.